design projects. I have a strong background in fine art, design and custom fabrication. I’m able to provide clients a wide range of artistic skillsets and project-based services. A diligent work ethic combined with attention to detail, design, engineering and craftsmanship has enabled me to successfully build long-term relationships with clients, fellow trades and collectors. I excel at understanding clients’ needs while providing a collaborative approach to create innovative and engaging projects and outcomes. 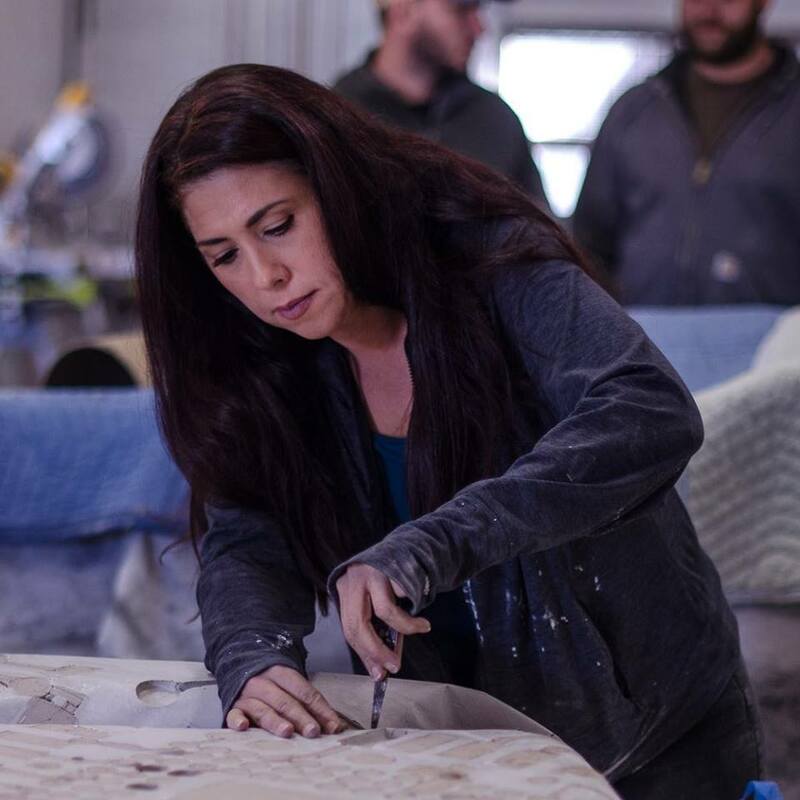 With 17 years of professional experience working in the arts, I am constantly researching and experimenting in my studio to gain additional insights into new materials, fabrication and processes. This takes an enormous amount of dedication and hard work, but I am grateful the opportunity to simply be in my studio – to design and create – every day. Thank you in advance for taking a look. Image courtesy of Damian Taylor | Anomal, VT.
Christine Cassano is a full-time interdisciplinary artist with a focus on sculpture and installation-based works. Her artwork explores the intrigue, unease and fragility between humanness, technology and ecology. She exhibits her work locally, nationally and internationally including recent exhibits at the Phoenix Art Museum and a solo exhibition at Mesa Contemporary Arts Museum. Christine is a grant recipient of the 2018 Arizona Commission on the Arts grant funded in part by the National Endowment for the Arts. In 2016, she was awarded the Contemporary Forum Artist Grant from the Phoenix Art Museum, supported in part by the Nathan Cummings Foundation Endowment and in 2015 was a grant recipient of Phoenix Institute of Contemporary Art resulting in a published artist catalog of her work.